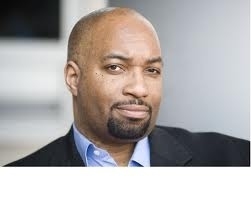 Yesterday, teachers, some from as far away as Patchogue-Medford, were treated to a Collegial Circle with Kwame Alexander. His humor, positive attitude and long list of accomplishments have given me enough material for two blog posts. Right now, though, I'd like to focus on his most recent picture book, Acoustic Rooster. To the uninitated, picture books may seem the purview of primary teachers, but experienced educators, (as well as readers of this blog) know that the short text of a well-written picture book is often dense with great writing techniques. Acoustic Rooster is no exception. Reading and Language Arts teachers could use this as a mentor text for aspiring writers, but the story of a rooster trying to form a barnyard band, lends itself to other content areas, as well. Mr. Alexander has deftly woven Social Studies and music into this tale with such cleverly named characters as "Duck Ellington," "Mules Davis," "Ella Finchgerald" and "Bee Holliday." Using this story as a launching point, teachers could integrate informational text on the real musicians on whom these characters are based. What a great way to layer nonfiction into quality literature. When we talk about Shift 5, Writing from Sources, why not have students research one of the many musical greats mentioned in this text? Why not research the social and cultural changes that were taking place during the jazz age? When closely reading and interpreting text, (Shift 4) why not use one of the musical compositions referenced in this book, like "The Girl from Ipanema," as the text itself? 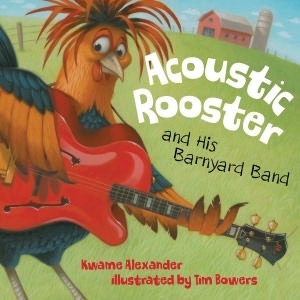 As educators across the country struggle to implement the new Common Core standards, Acoustic Rooster is the right book at the right time, on so many levels. If you don't already own it for your classroom, school or personal library, I suggest you order it!